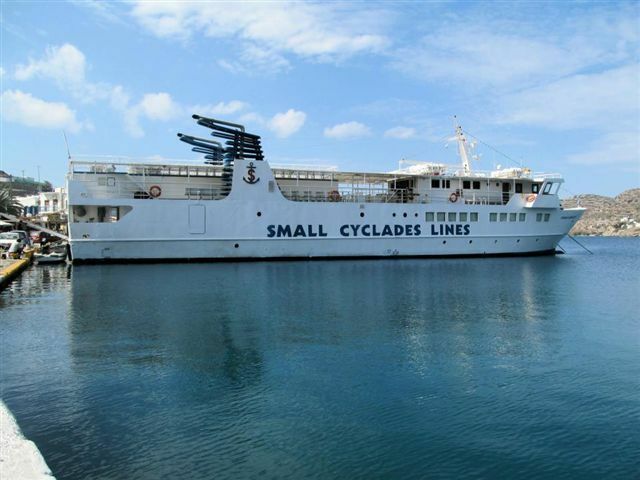 Small Cyclades is a family run shipping company for three generations now. Mr. Giannis Skopelitis, today’s owner and manager of the company is also the captain of the vessel Skopelitis Express. The company was founded by his grandfather. Mr. Skopelitis took over from his father and his son, a graduate of the Merchant Marine Academy, will in turn take over after him. The shipping company has been awarded many times from local authorities and organizations for the way it services these smaller Aegean islands especially in the winter when the connection to Piraeus is scarce. This ferry provides a daily connection between the islands of the Small Cyclades complex and Amrogos and Naxos, even during adverse weather conditions. As noted by Mr. Skopelitis, many times they have had to approach islands in urgent need of a doctor or medicine, during bad weather. They have also transferred patients to Naxos or other close by islands like Syros or Santorini in order to get them to the hospital on time.